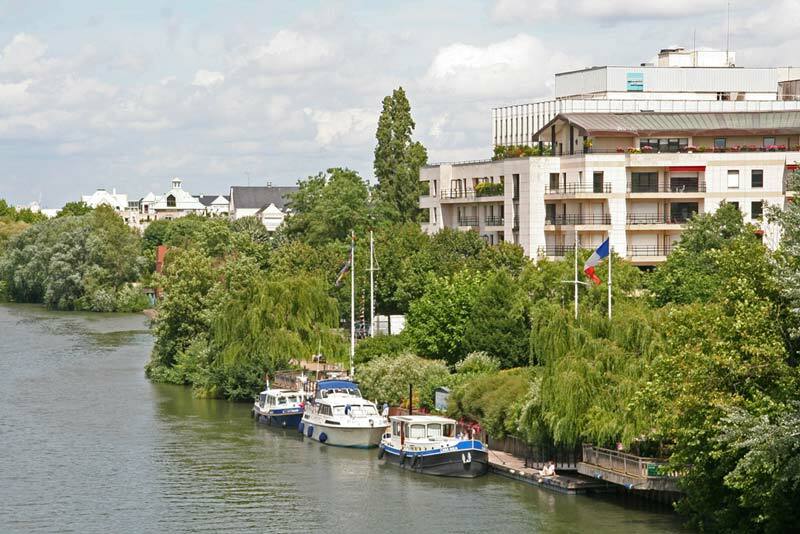 With our first guests arriving in Paris in less than a week, we decided we should probably make some efforts to get there, and decided to move on today, heading for the good-sized halte fluviale at Rueil Malmaison. 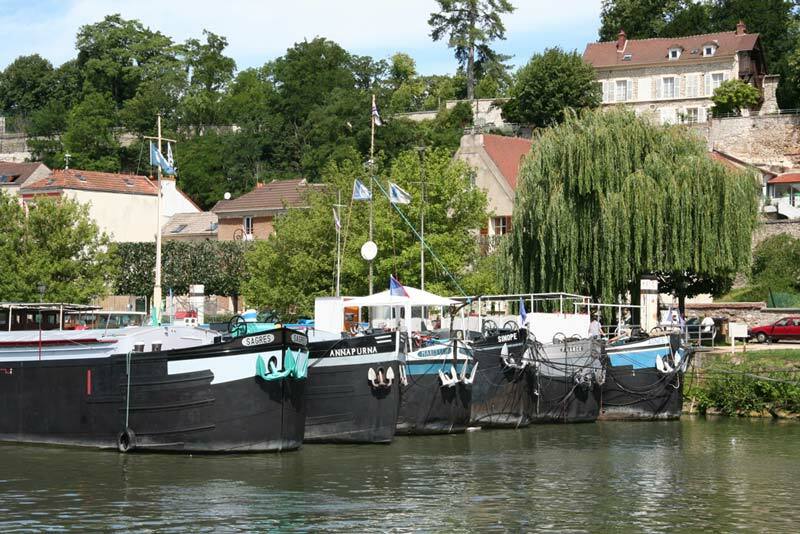 The first part of the passage was through Conflans-Ste-Honarine, where as usual there were numerous barges permanently or temporarily moored waiting for work. The following weekend was to be their major annual festival, Pardon des Batellerie, so it was likely that some were starting to gather to secure the best places. As we had now passed the confluence with the L'Oise which links the Seine with the north east part of France, and from there with Belgium and Holland, we started seeing many more Dutch motor cruisers, who obviously use this route to avoid making sea passages. Some seemed in a great hurry to make progress and we imagined they were probably trying to do the Seine in a fortnight - "wij moeten naar Paris gaan" - and get back to other commitments. We let them rush on ahead, not wanting to compete with them for moorings. At Bougival the channel splits into two, with the Ecluse Bougival controlling the levels on the more southerly branch, and later the Ecluse Chatou on the northern branch. Both arms are navigable but the stopping places in both Chatou and Rueil Malmaison are on the Bougival arm, so it is important to take this branch if a stop here is planned. The yacht lock at Bougival is conveniently yacht-sized, although the bollards are still spaced at barge distances, so tying up was left for the front rope, with the engines used to control the aft. From Rueil we had planned to use the nearby rail station to visit the Chateau at St Germain-en-Laye, but when our tom-tom informed us it was only 20 minutes cycle ride we decided to combine the trip with some exercise and go by bike. Standing on a 60m plateau overlooking a bend in the Seine, the castle dates from the 12th century and was built for Louis VI. 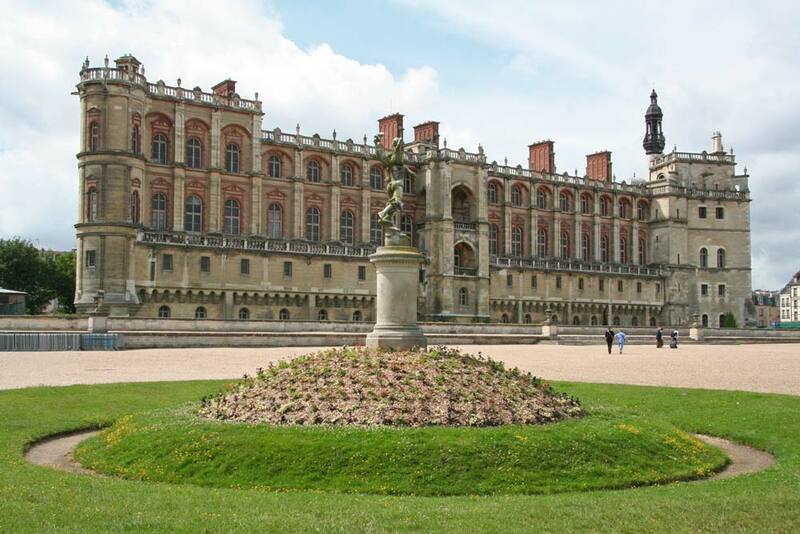 Since then it has had significant roles throughout French history and has seen numerous royals born or die. Since 1867, it is been the permanent home to the National Antiquities Museum, whose collection charts the progress of humanity over the last 4 million years!